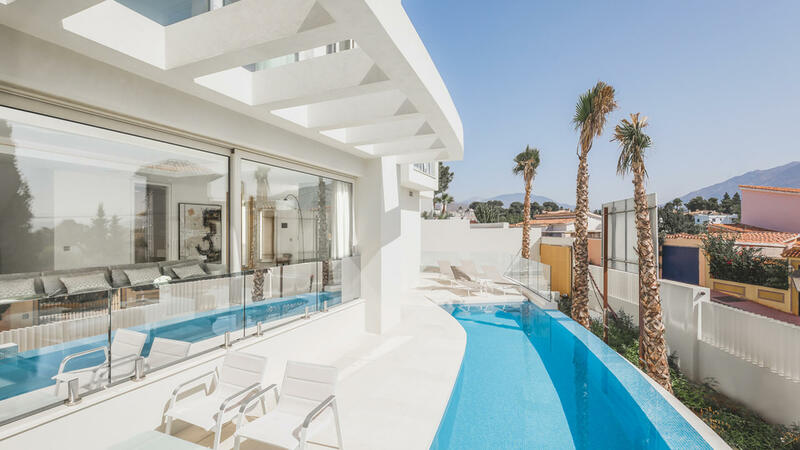 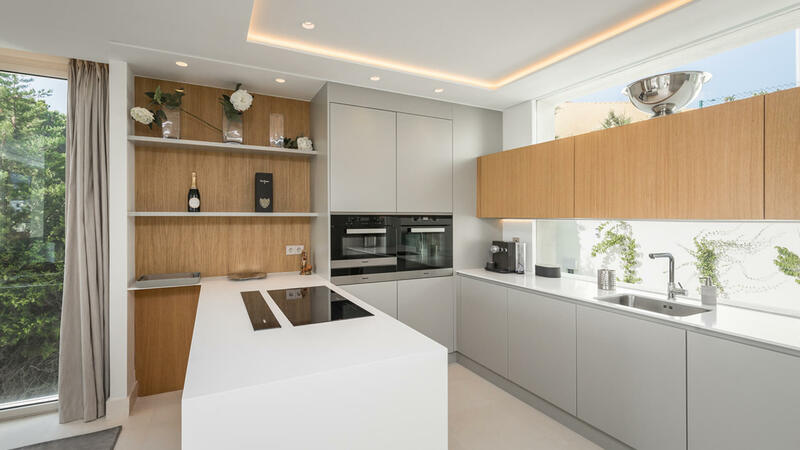 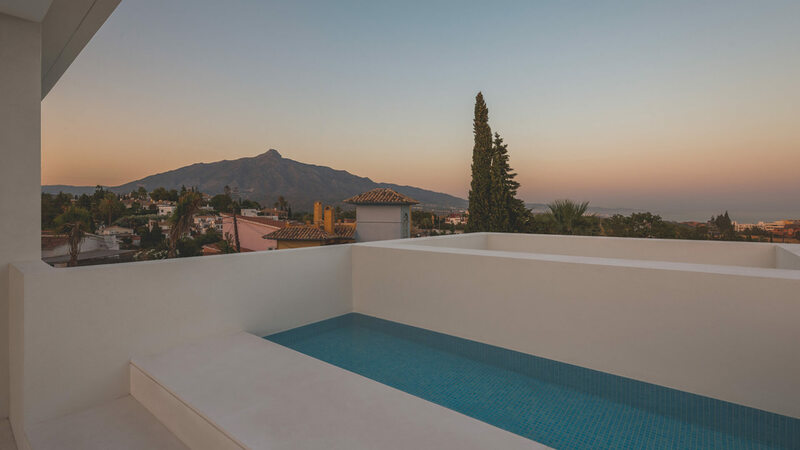 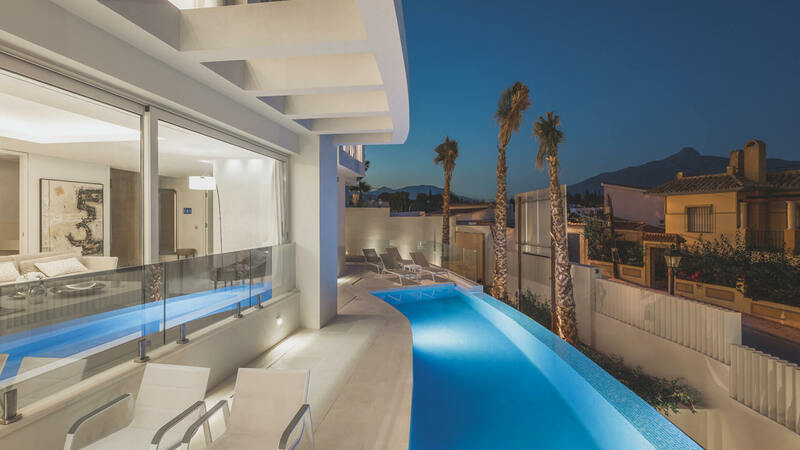 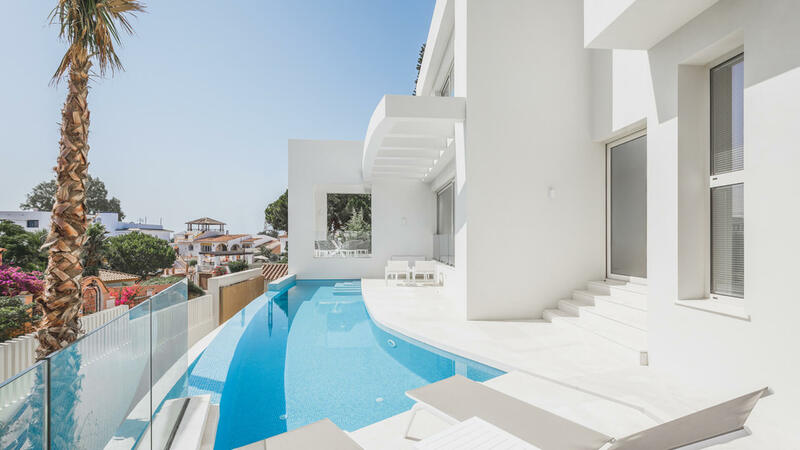 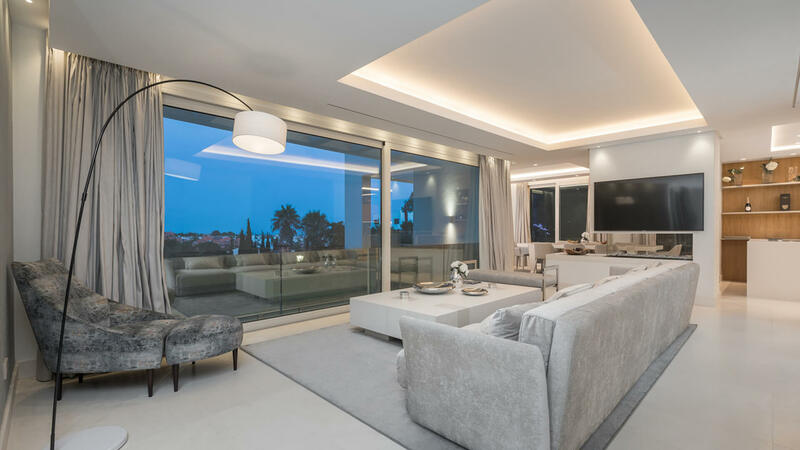 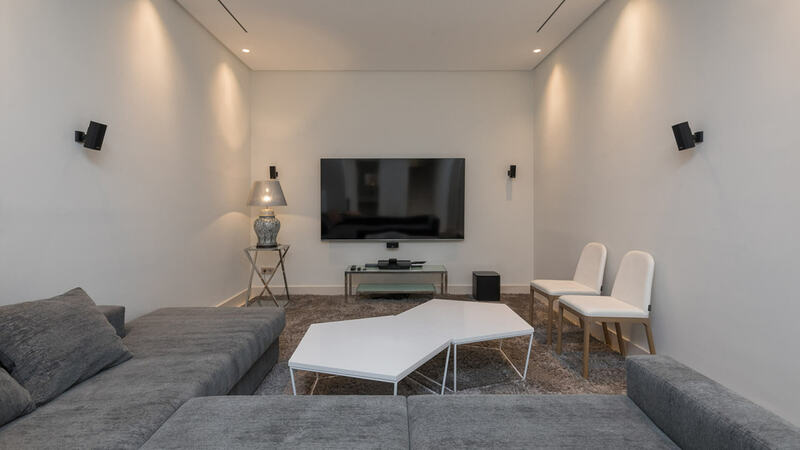 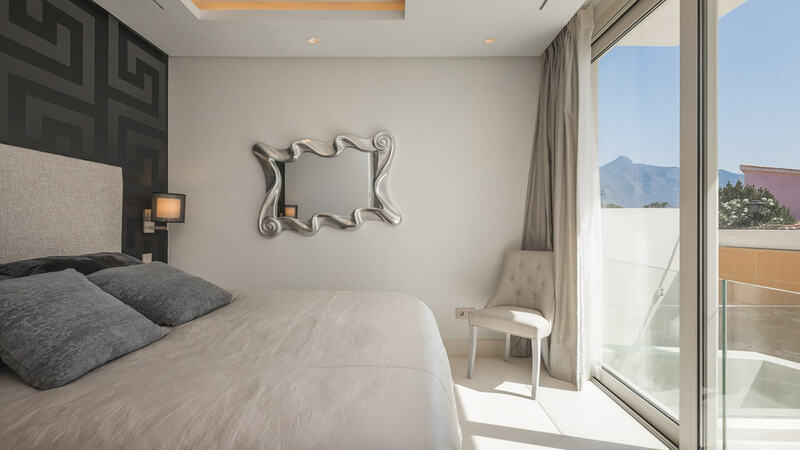 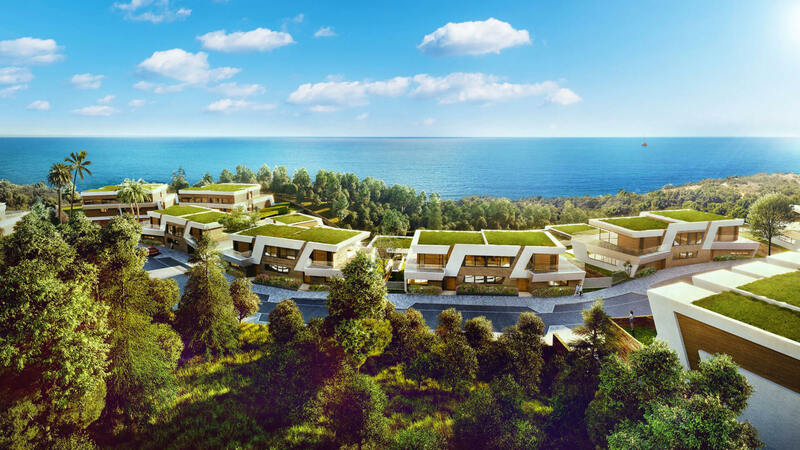 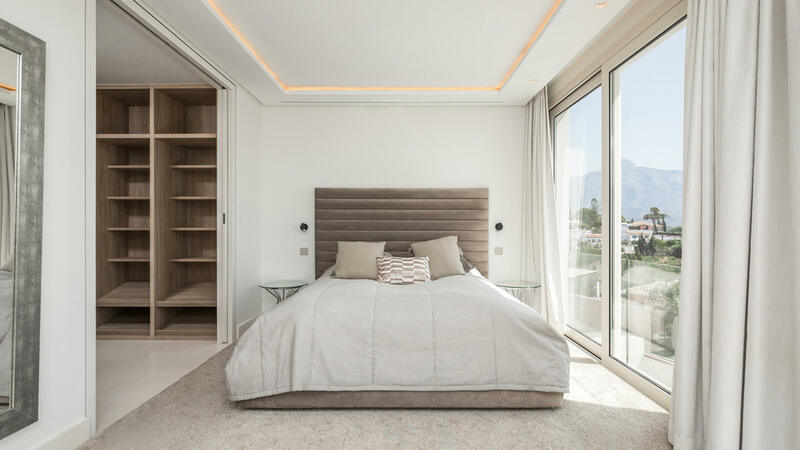 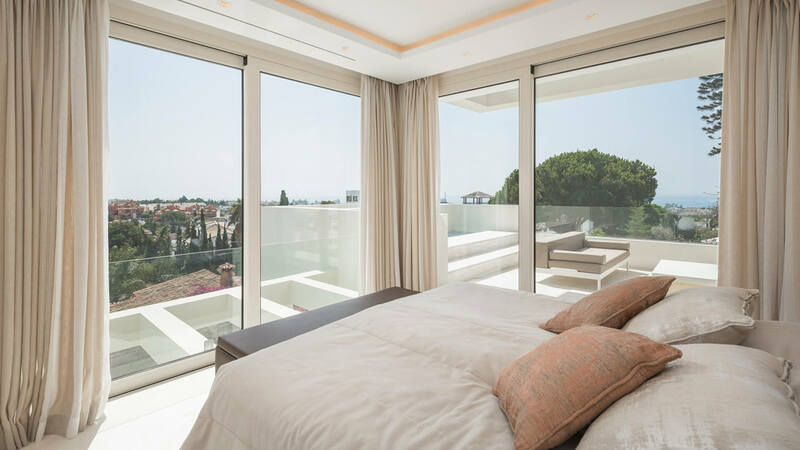 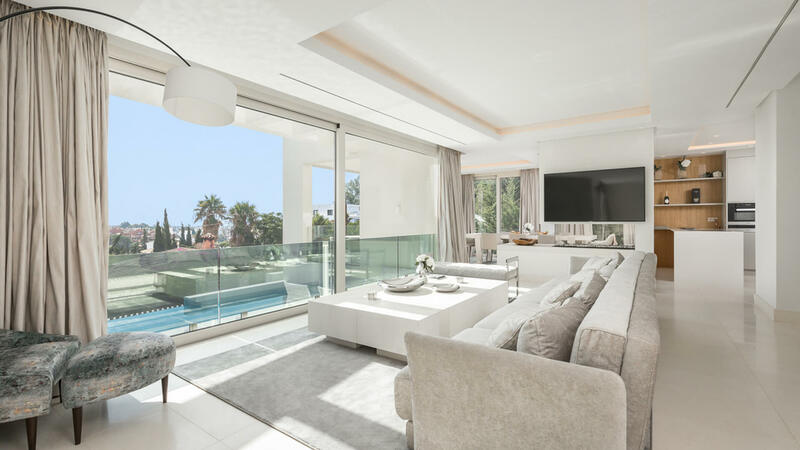 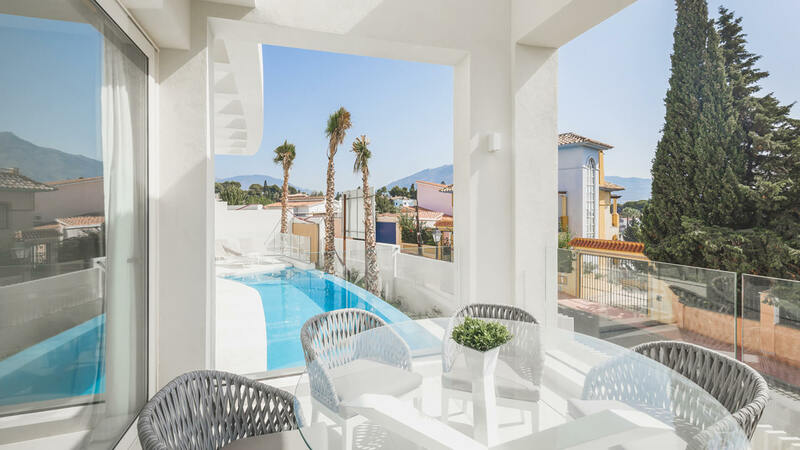 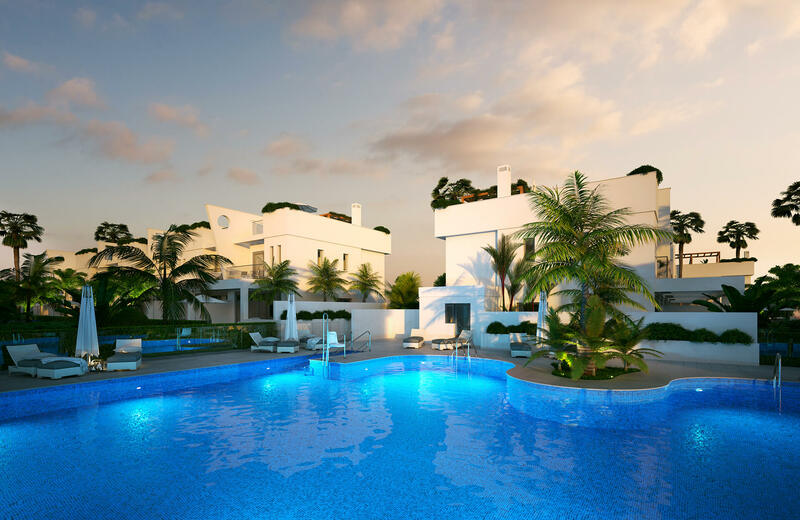 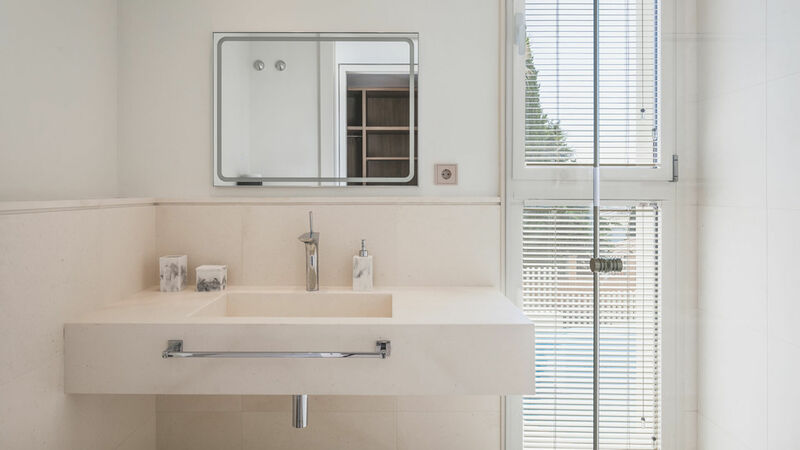 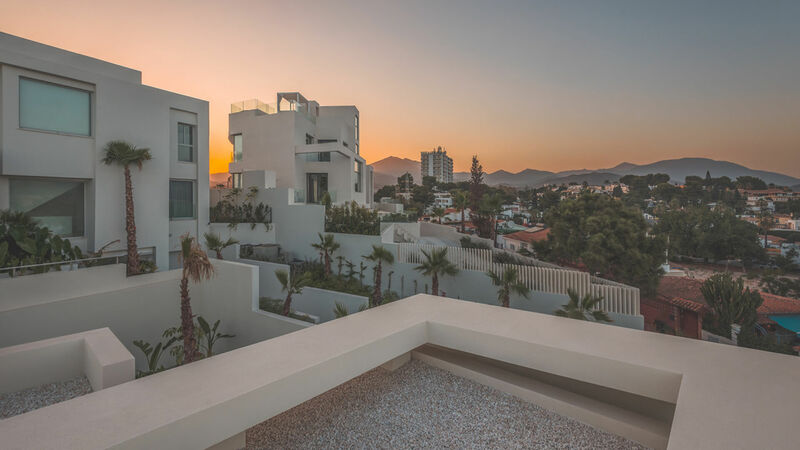 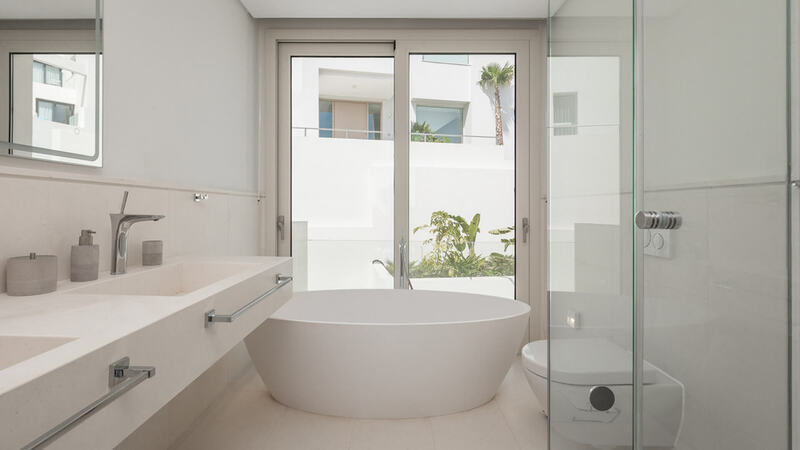 Located in Nueva Andalucía, Banús Hills is a development of 3 contemporary, luxurious villas designed by award-winning architect Lis Melgarejo. 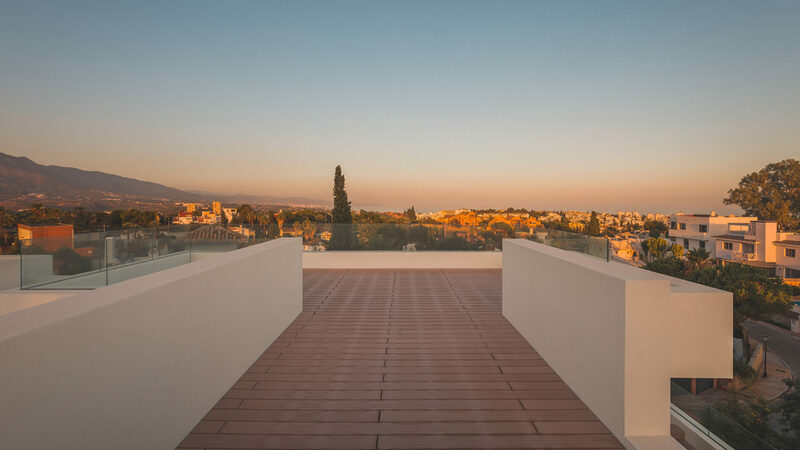 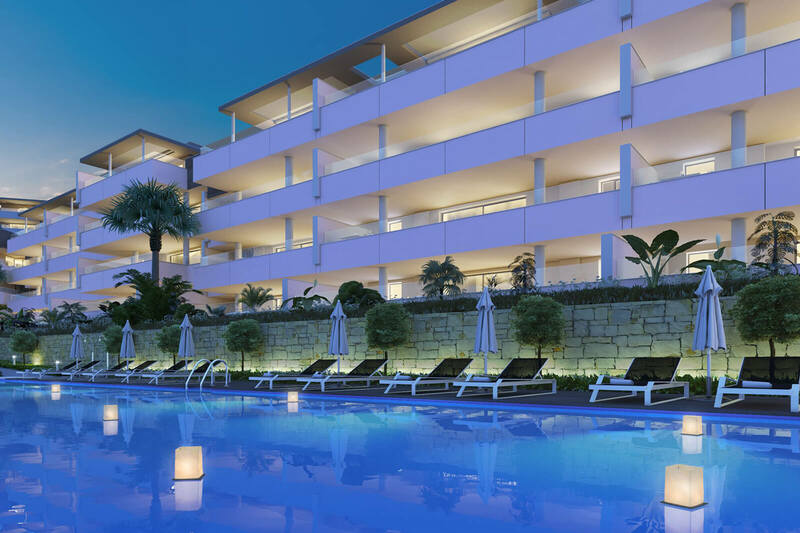 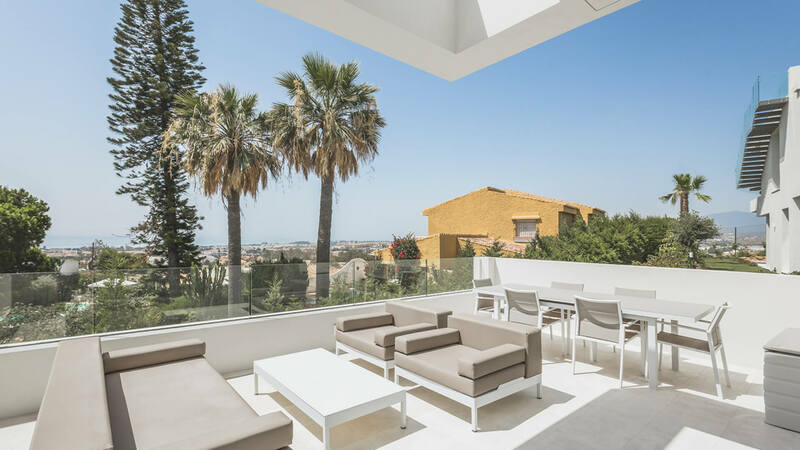 It is situated at the highest point of Nueva Andalucía affording some of the best panoramic views available on the coast. 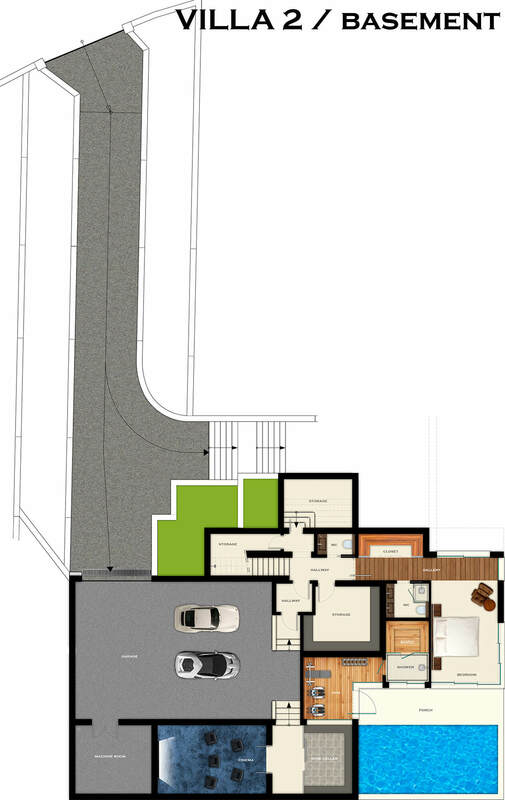 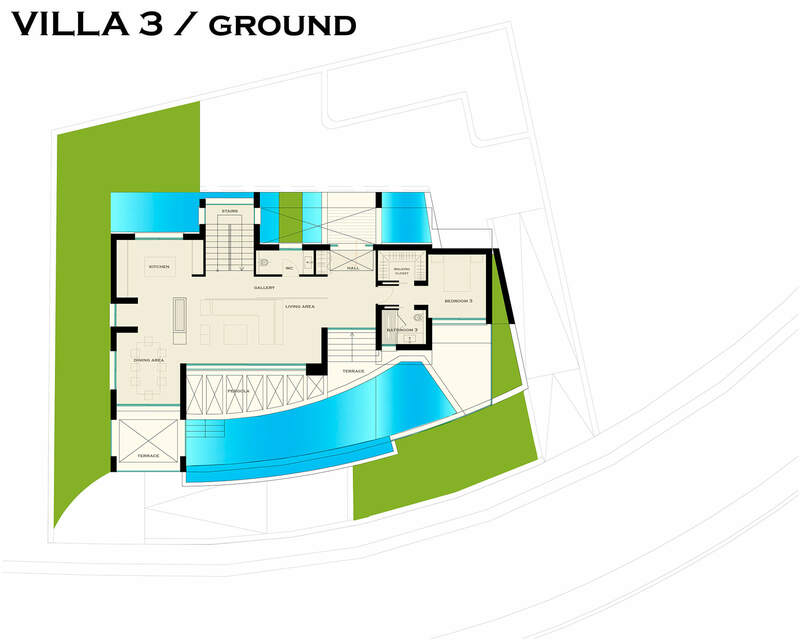 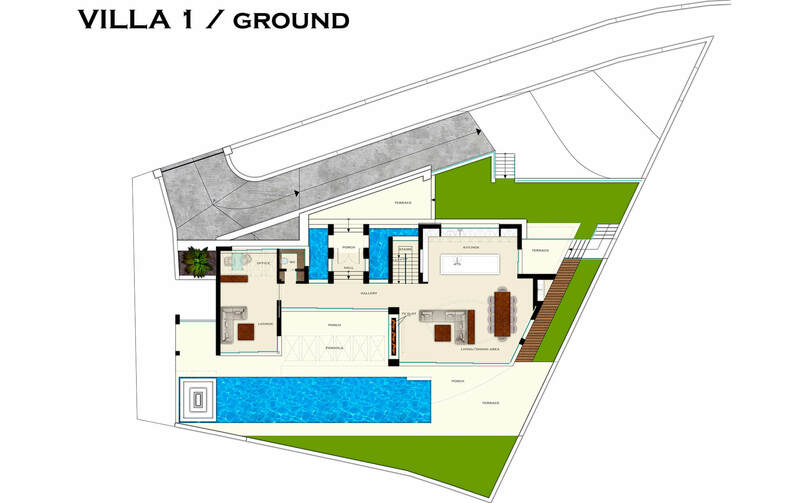 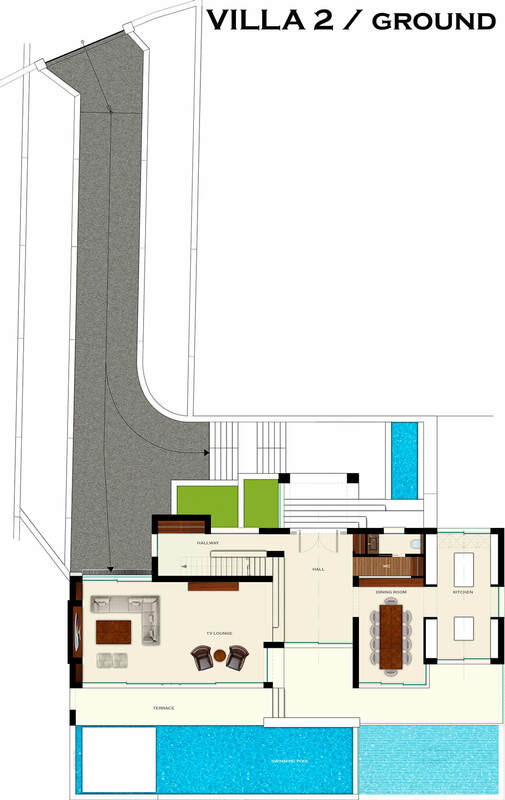 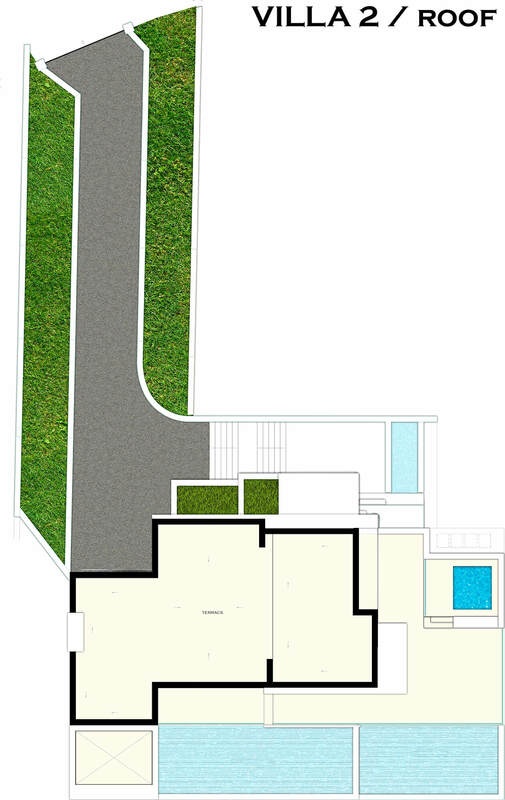 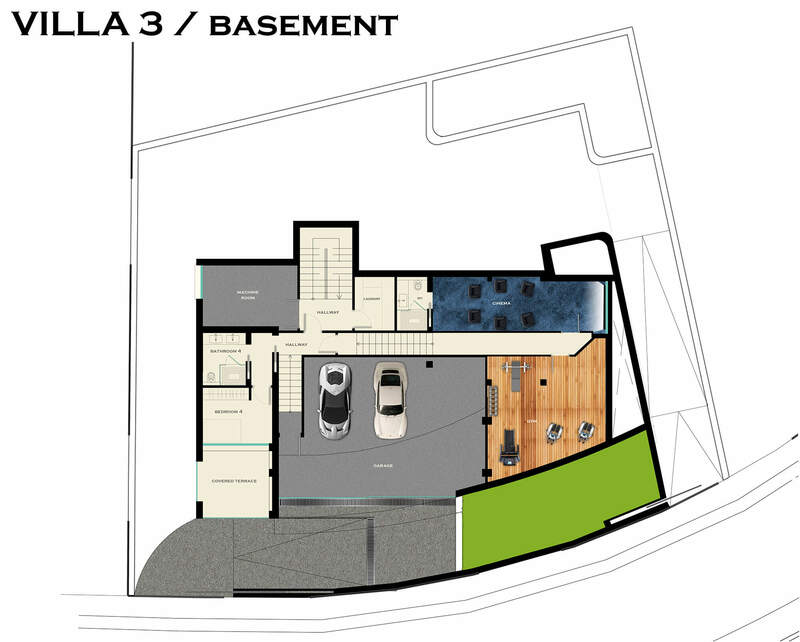 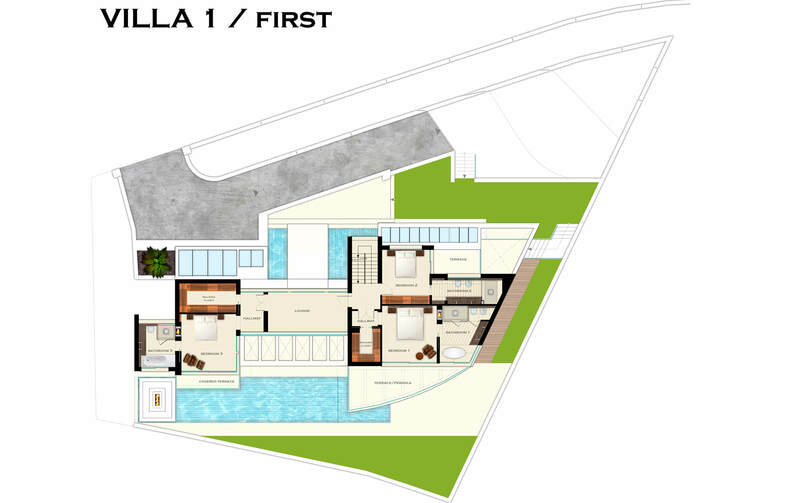 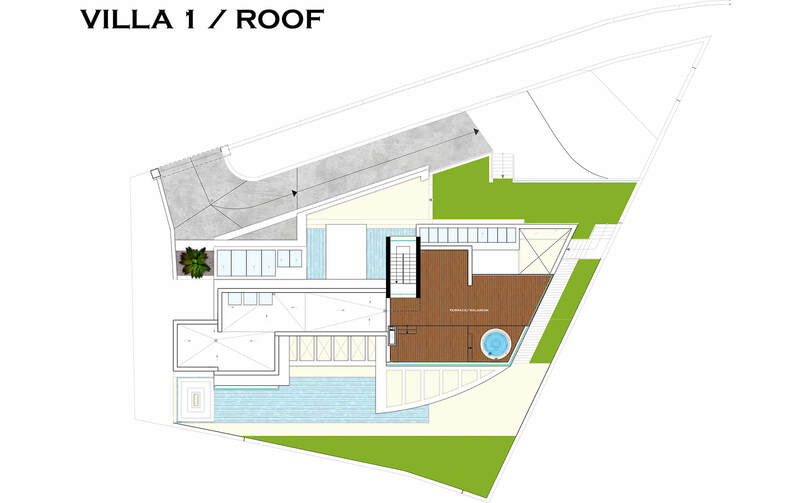 The third villa is also spread over three floors with the basement also providing space for three cars. 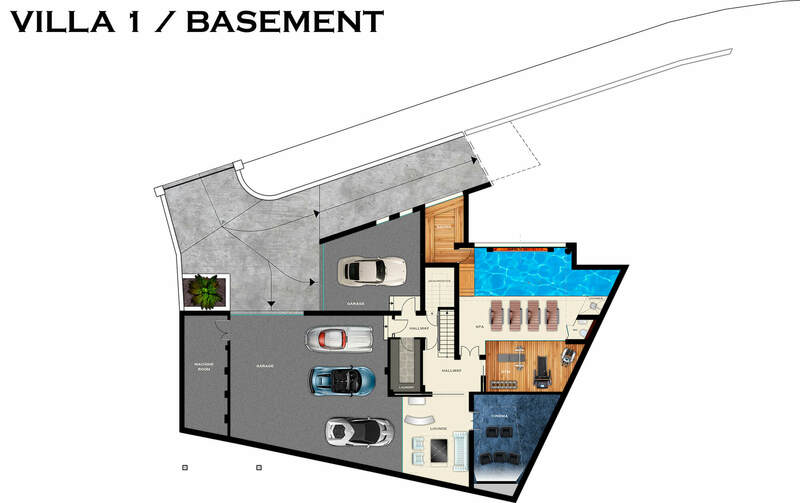 There is also a gym room, cinema room and a bathroom. 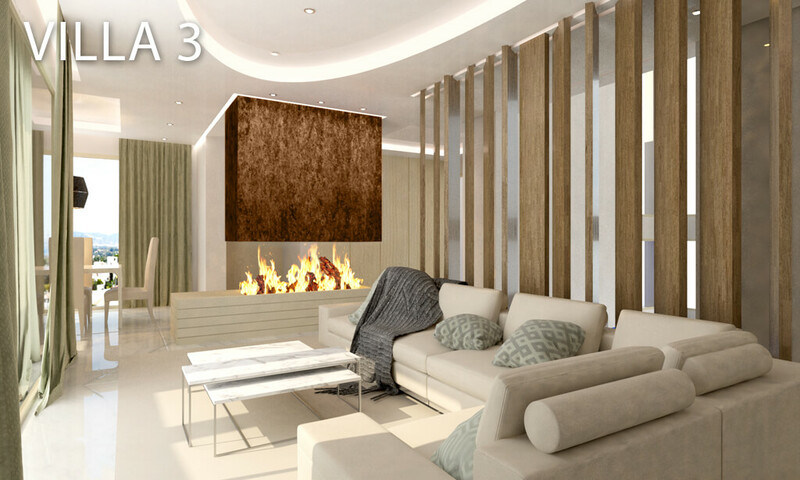 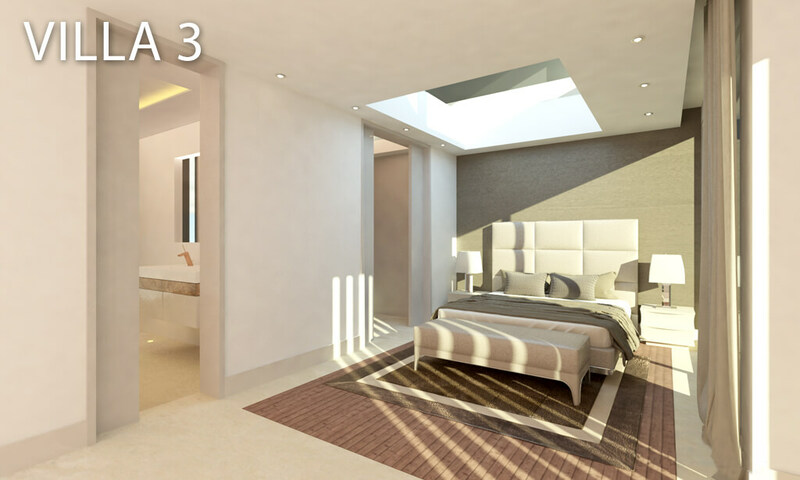 The ground floor opens with a double-height grand entrance hall with side-to-side fountains. 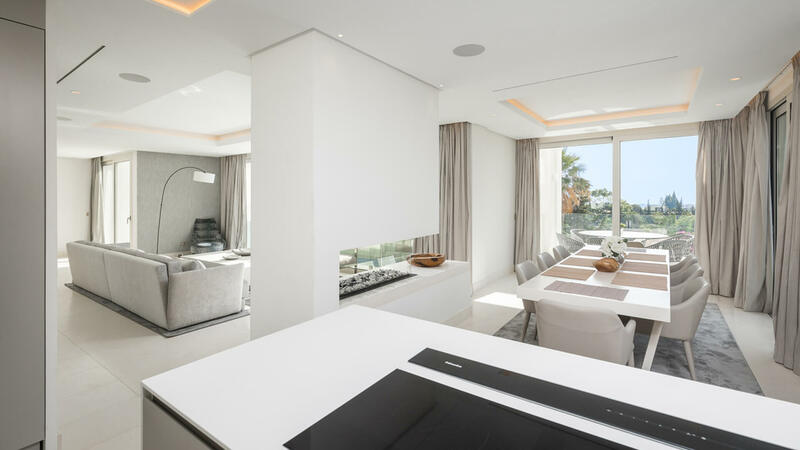 There is a living room with beautiful sea views, as well as a kitchen/dining room with a spacious island and an isolated central chimney which separated the living room from the kitchen area. 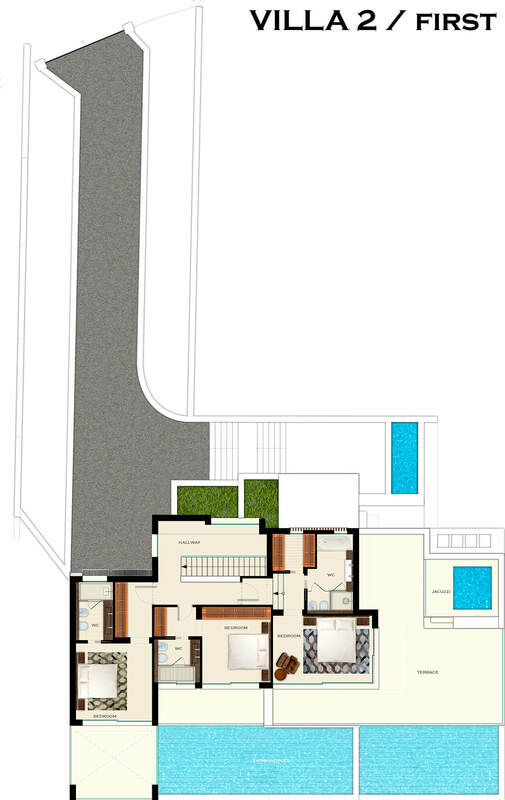 The ground floor also has bedroom suite with a dressing room and en-suite bathroom, as well as great sea views. 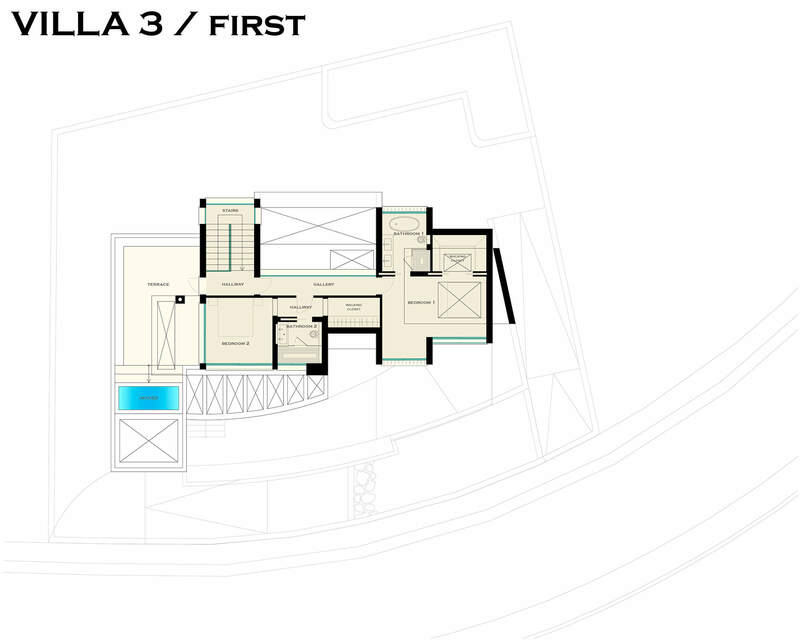 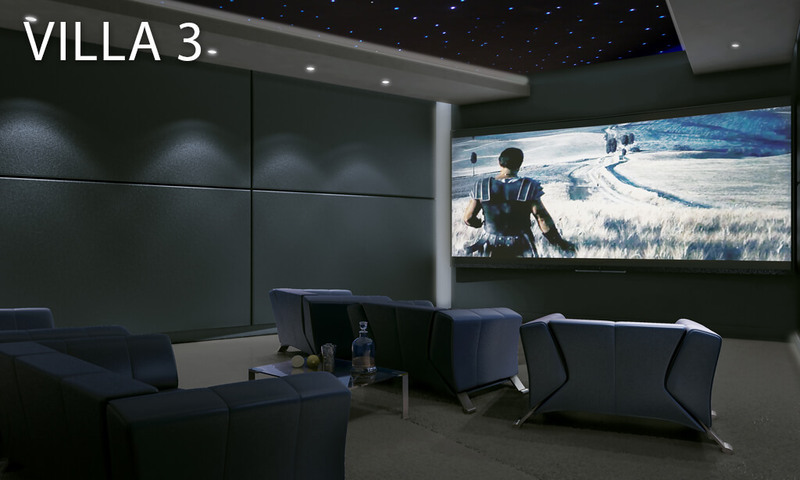 The first floor contains the grand suite which includes a dressing room and bathroom with zenithal lights. 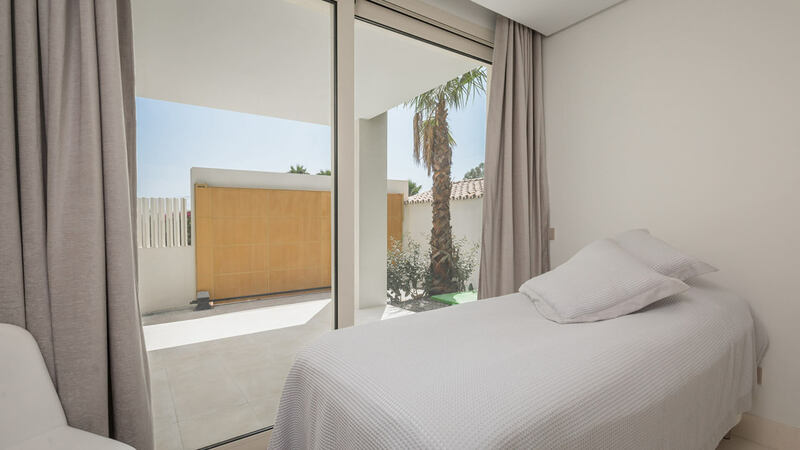 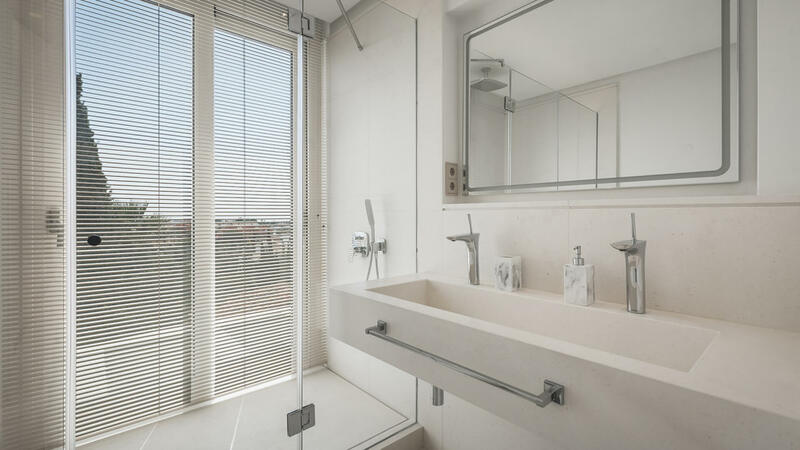 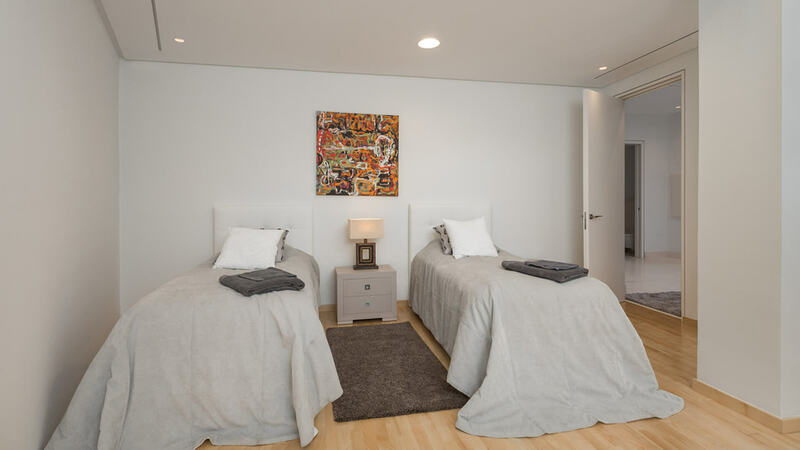 A third bedroom suite with dressing room and bathroom also has a 50m² solarium which includes a jacuzzi and lounge area, as well as more great sea views.